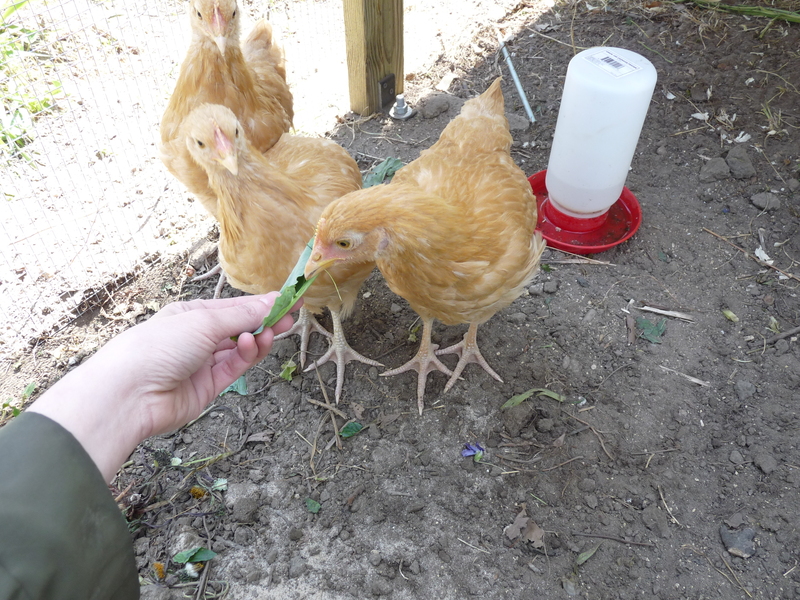 Ferndale Now Allows 6 Chickens! Sec. 5-8. 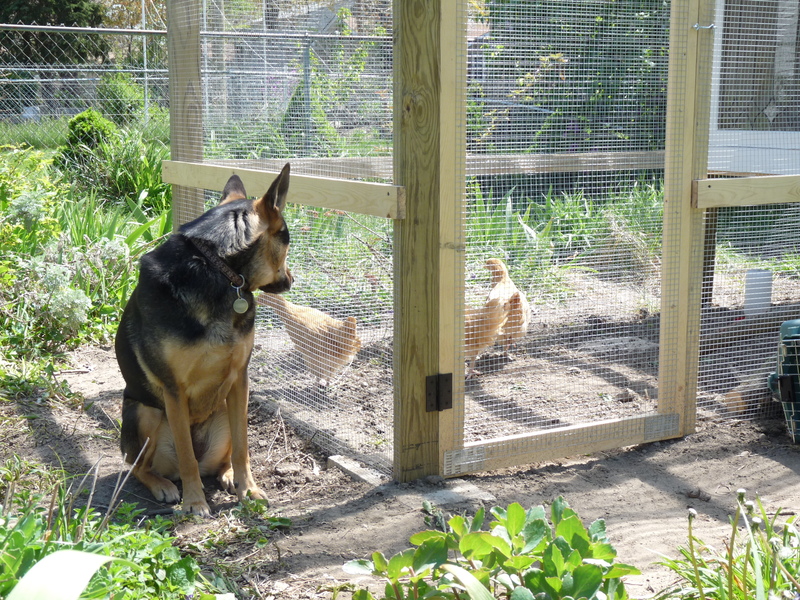 Keeping of Chickens. person applies for a new permit. neighborhood association by-laws, and covenant deeds. (1) Keep no more than six hen chickens at any time. 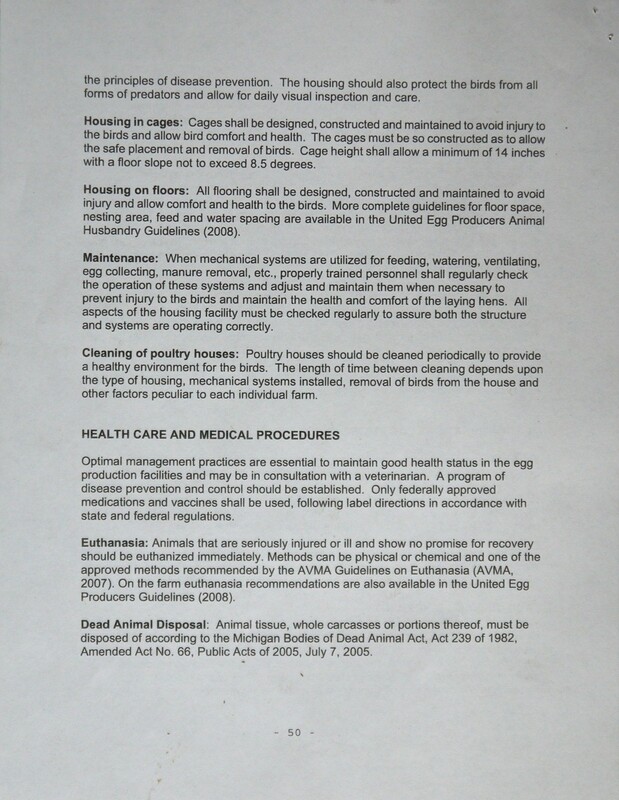 (2) Roosters or male chickens and any other type of fowl or poultry are prohibited. 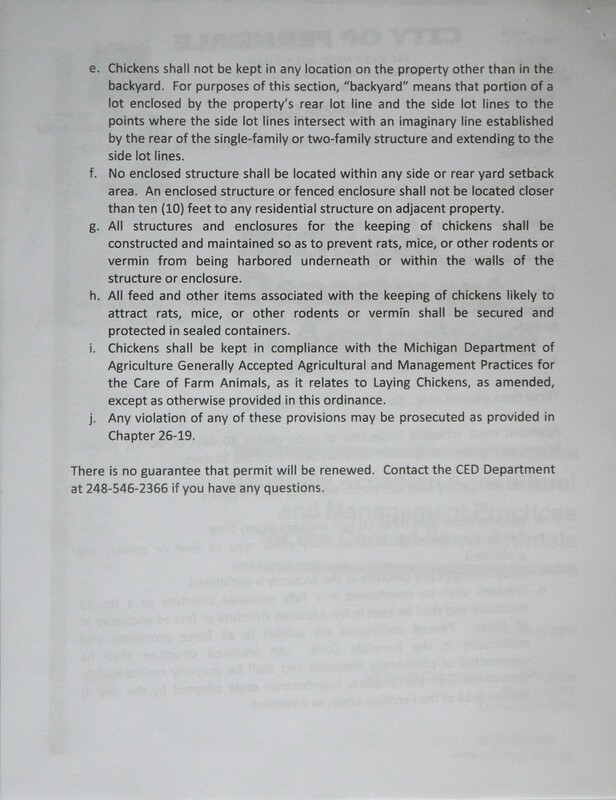 (3) Slaughtering of any chickens at the property is prohibited. single-family or two-family structure and extending to the side lot lines. ten feet to any residential structure on adjacent property. being harbored underneath or within the walls of the structure or enclosure. as otherwise provided in this section. I’m a sucker for a good Christmas card. It’s such a rare treat, getting something in the mail from another human being your actually care about, and if there’s some level of personalization- swoon! It makes me so happy. That’s partly why over the past 2 years I’ve designed Christmas cards with illustrations of our family on them. I’m not big into pictures (seriously, I’m so awkward), and besides it’d be next to impossible to get the chickens, the dog, the cat, and my husband and I all into a picture for one of those nice holiday cards that photogenic families send out. Of course then the printer (Vistaprint), botched the job AND sent a batch of cards to some unknown address. Cards went out super late as a result, but I hope people still enjoyed them. 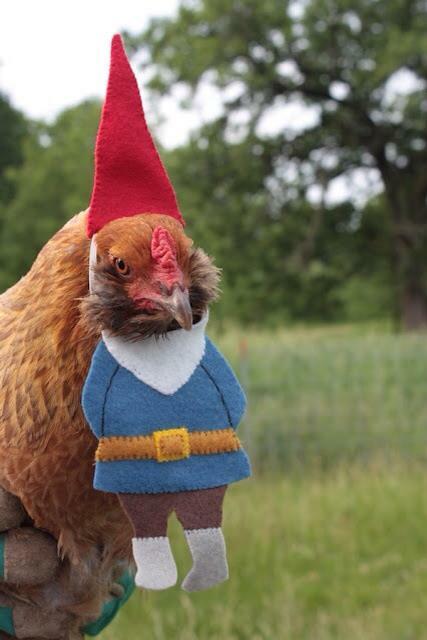 If you include your chickens on your holiday cards, I’d love to know! Show me a pic in the comments. 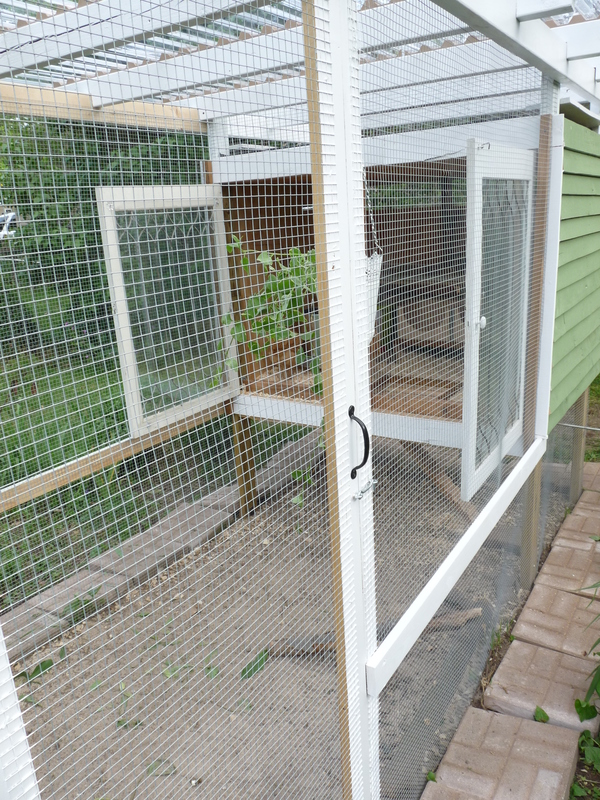 If you’ve been thinking about having backyard chickens in Ferndale, MI, now is this perfect time to get started planning. 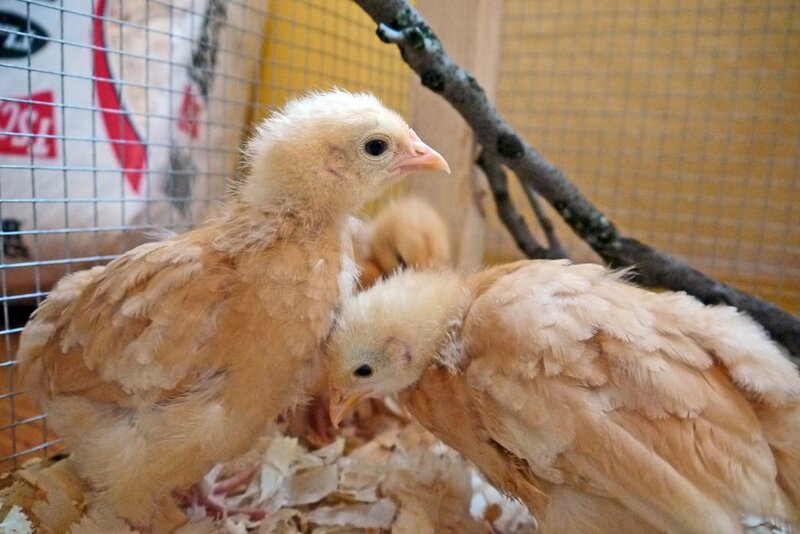 Every year in mid to late February, Tractor Supply hosts their “Chick Days”, where they receive shipments of chicks from hatcheries to their retail stores. 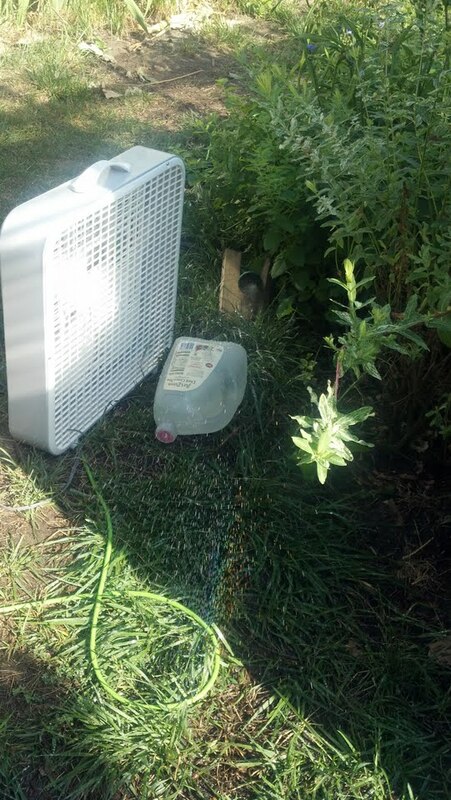 For your average backyard chicken keeper, these days are a boon: it makes it so much easier to source chicks and visually inspect them before bringing them home, and allows you to take home a much smaller number than would normally be shipped to you direct from a hatchery (most hatcheries ship in bulk, ~25 chicks). My preferred TSC is located in White Lake MI, about 45 minutes away from Ferndale MI. According to their staff, this year the White Lake location will offer chicks from the last week of February through the next 3 months!! You have to purchase a MINIMUM of 6 chicks. Unfortunately for those of us in Ferndale, that’s 3 more than we’re allowed. 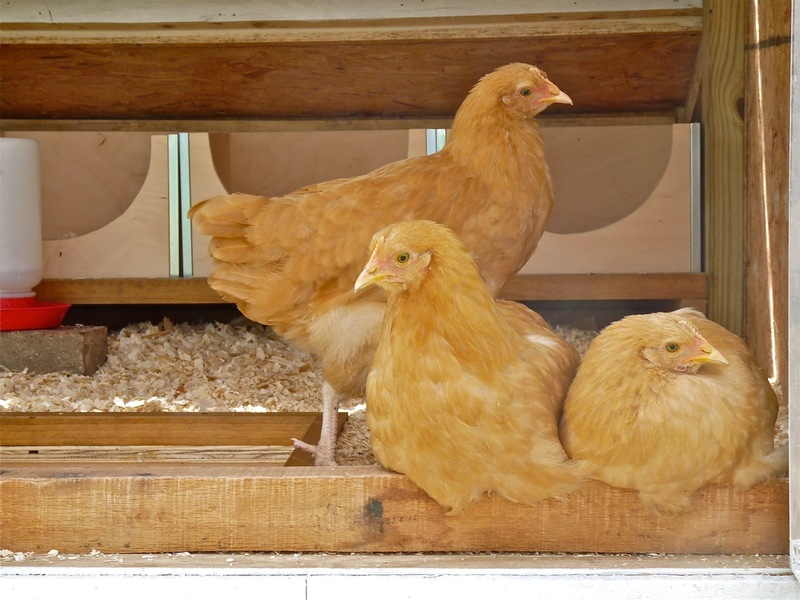 Now is the time to reach out to other people to see if they’d like to go in on the purchase of chicks so you have a home lined up for the 3 additional birds. 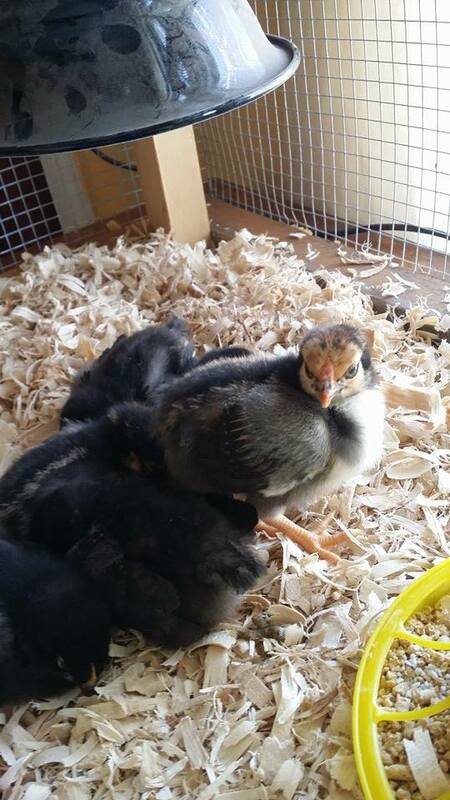 I see a surge in people selling started pullets/chicks around March on Michigan Poultry & Hatching Eggs Forum on Facebook & Metro Detroit Backyard Chickens Forum on Facebook. Limited selection of breeds. If you have your heart set on a certain breed of chicken, you may not be able to get it at TSC. TSC in White Lake told us that they never know what breeds they will get, so the earliest they know of that weeks breeds is the Monday they receive them. You will need a coop for them to live in after they get bigger. In Ferndale, that means you will need to create a permanent structure, and go through the process of getting the building approved. 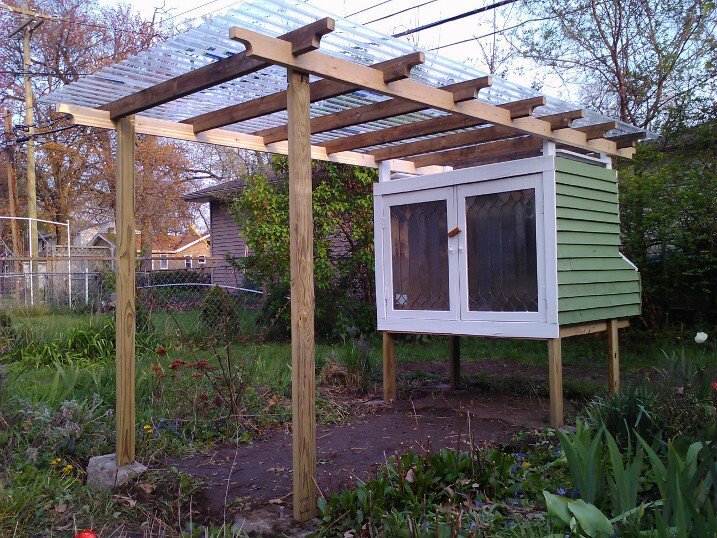 Read more about the muni code & information on building a chicken coop in Ferndale MI. 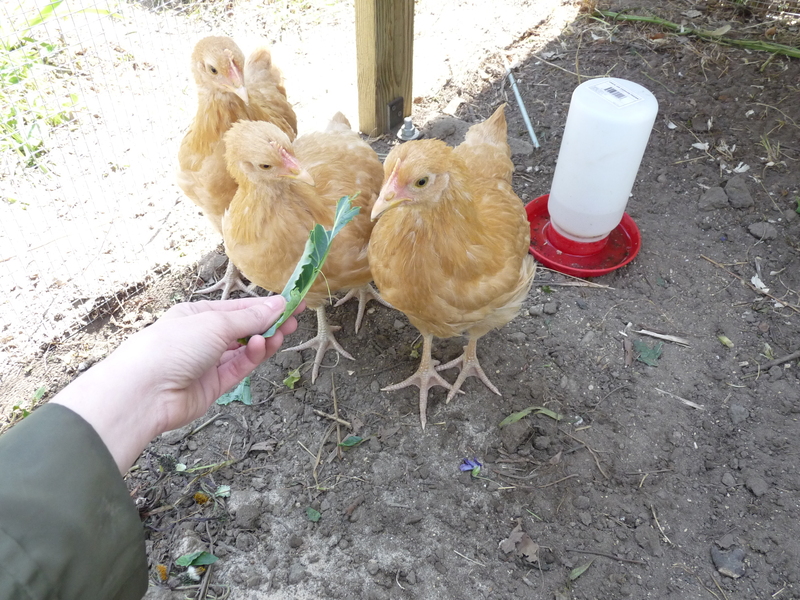 Chicks grow quickly, and will need a place to transition to- and you will look forward to getting them out of your house. 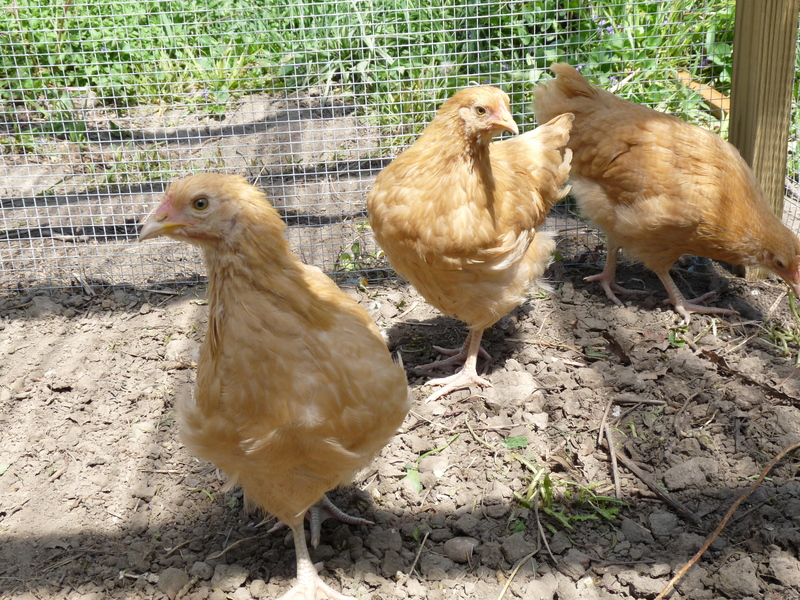 Are you ready to join the ever increasing number of people who have backyard chickens? Let us know in the comments! What entails community change from a ‘bedroom community’ to a ‘barnyard community’? If you’re Roger Jonas, chairperson of the Ferrysburg Planning Commission, the answer is as simple as 2 goats, 5 chickens, or 4 rabbits. The issue emerged last year when Adam and Amanda Montambo asked the city to allow them to continue to keep pet goats. The Montambos said Amanda Montambo and several of their children are allergic to cow’s milk and therefore used goat’s milk. Tim Scarpino, a former Ferrysburg councilman & spokesperson for the petition group Ferrysburg Residents for Responsible Land Use, said council should not consider changing the rules to benefit only one family. During his presentation, he very helpfully showed a photograph of lactose-free products available for purchase at a local grocery store. Because, you know, I’m sure the Montambo’s had absolutely NO idea that there were such things available. At this same city council meeting, Tim pointed out: “You have an obligation to represent the entire city, which makes me wonder why you are giving greater consideration to the supposed needs of one family over those of another.” See, what city council had failed to realize, was that despite the needs of one family and the vocal support of other members of the community, they had an obligation to the needs of those who don’t support the right to food sovereignty and keeping a paltry number of animals on private property. I’m not sure what those needs are as they pertain to this, because despite reading every article I could on this subject, the only ‘need’ I saw expressed was “We are a quiet town, and it’s the hope of many of us to keep it that way“. Since this hints at a level of ignorance of how little noise goats, chickens, or rabbits make, I’m forced to assume that this is a bit of hyperbole. So, for now, let’s pretend that this is the only issue and the entire reason for Tim getting so heavily involved in speaking out against this ordinance. Oh, and let’s also ignore the pearl-clutching weirdness of the last sentence. Oh sure. That sounds like a well-balanced response by an open minded Planning Commission serving out their duty as representatives of their community. Not biased or petulant at all. After lengthy discussion, Ferrysburg planning commissioners directed city planner David Jirousek of Grand Rapids-based LSL Planning to create a draft ordinance, modeled after similar-size cities in Michigan. 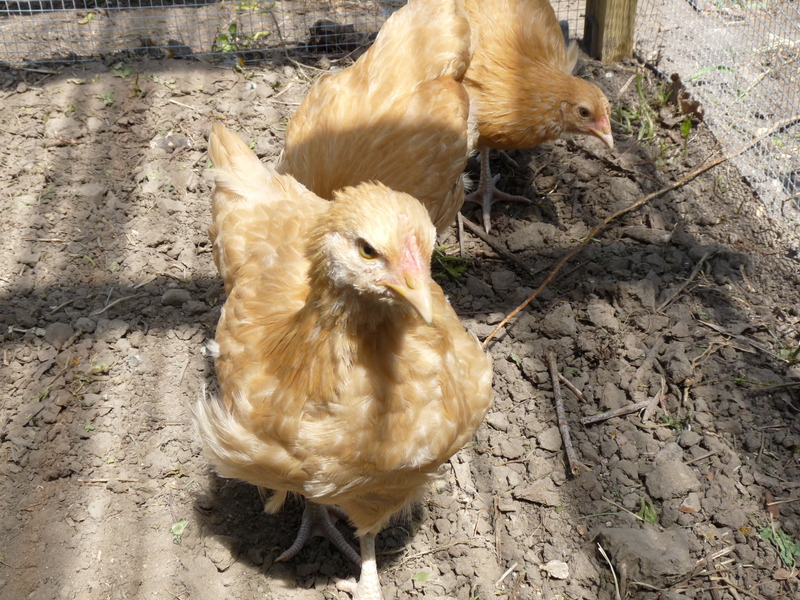 Mr. Jirousek drafted the ordinance amendment for keeping chickens in Grand Rapids, which stipulated that chickens may only be kept on a lot which is at least 3,800 square feet in size. 3,800 square feet = .089 acres, for those like myself who struggle with conversions. You can keep 4 chickens on a property under 5,000 sq ft, and 6 chickens on property over 5,000 sq ft. While I can’t find documentation on the reasons behind Mr. Jirousek’s stance, he returned an opinion that Ferrysburg should not allow farm animals. The question is, why- particularly given that Mr. Jirousek seems to grasp the increasing desire of communities to embrace self-sufficiency and revive familiarity with homesteading. I haven’t been able to find that answer, and will keep looking. I can’t think of anything more true to small town character than neighbors seeing an earnest desire of their fellow man to be healthy, happy & involved in local food, and working toward a goal that allows them to achieve that within reasonable bounds. When the Zoning Appeals Board upheld the determination that farm animals were not allowed on the Montambos 1.4 acre property, given that the ordinance was excessively restrictive (10 acres mandatory for farm animals, which doesn’t exist anywhere in the city), I would expect a small town to look on in compassion and with an eye for reasonable change, rather than a foot stamp and a “not in my backyard” attitude. 50+ years of zoning hasn’t taken into account the fundamental shift in our relationship with food sources and an increasing desire to become involved in a sustainable, conscious lifestyle. If the planning commission takes a moment to consider the dramatic increase in farmers markets in Michigan and the rapid adoption of backyard chicken keeping in major cities, then maybe they wouldn’t treat this like a nuisance request or something that needs to be stopped dead in its tracks. 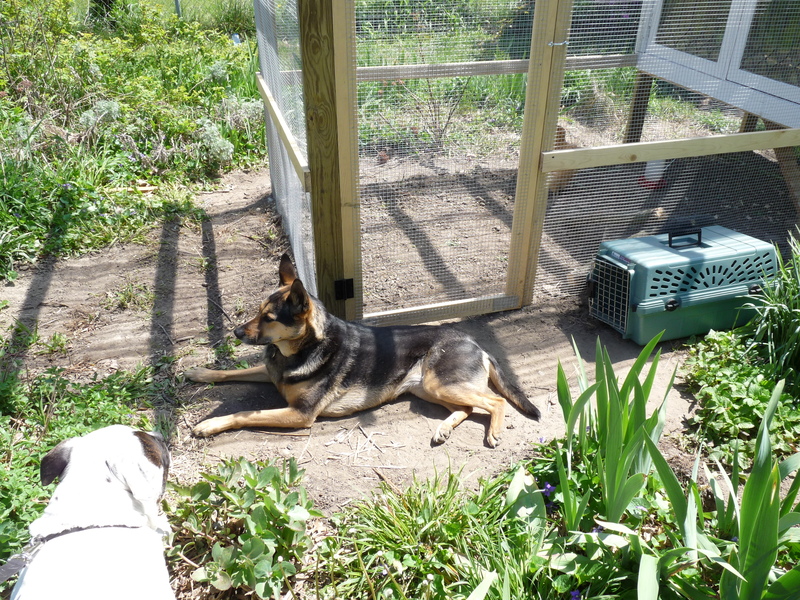 Maybe, for a moment, they could look at this as neighbors, and truly reflect on why they believe that ‘farm animals’ don’t belong in the city, as Planning Commission Chairman Roger Jonas has said. Personally, I applaud Mayor Dan Ruiter, who stated “I want to support the current trends aimed at a healthier lifestyle for ourselves and our families”. Now THAT is what I expect when I think of ‘small town character’. The ordinance is officially on the Nov 3rd 2015 ballot for Ferrysburg. I hope that those who support it are able to be heard and gain the right to keep their animals. 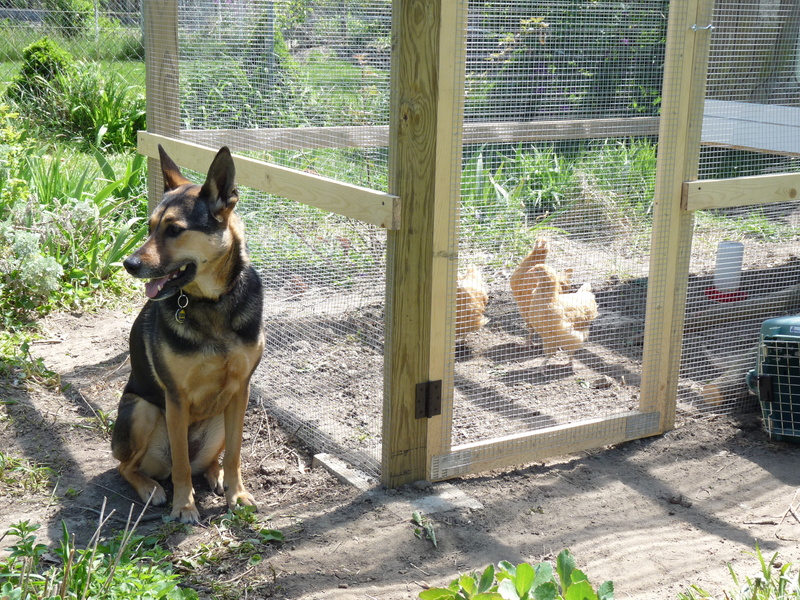 I’ll also be paying attention to neighboring Grand Haven, a substantially larger city, and their current interest in adopting a backyard chicken ordinance. If adopted, I wonder if that will change Tim Scarpino’s position on keeping chickens on residential lots of at least 1 acre. What exactly would adoption of the ordinance mean for the city of Ferrysburg? The new law allows residents to keep two goats, five chickens or four rabbits, as long as they provide a shelter and fenced-in area on the larger-than-one-acre lot. 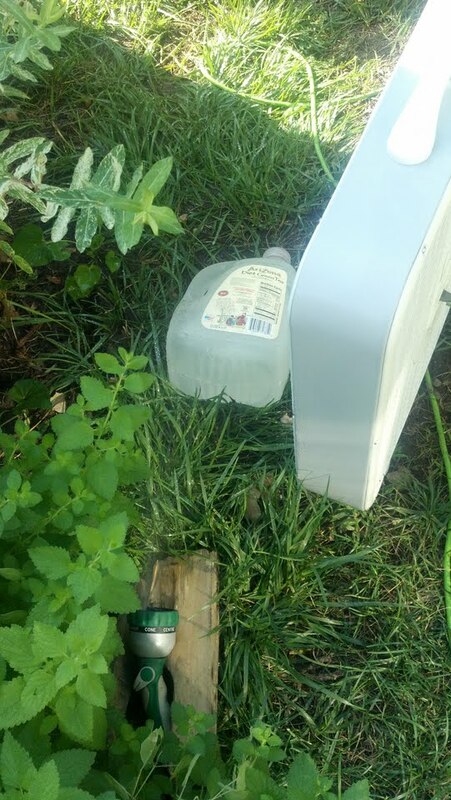 This was already being done, by the Montambos, for some time… with no ill effect to the city, and no complaints from neighbors. Codifying it provides an avenue to regulate through inspections and ensure that the animals welfare is maintained. So, what ARE the implications of this ordinance change- and please, let them be based in FACT, rather than unfounded belief, fear, or an adherence to ignorance. 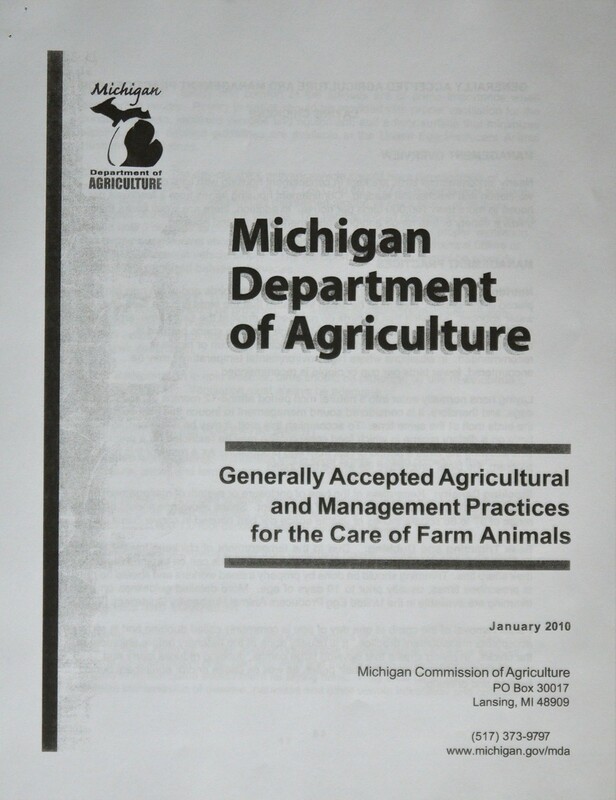 FACT: the ordinance, as currently proposed, is well within GAAMPs guidelines for animal keeping. 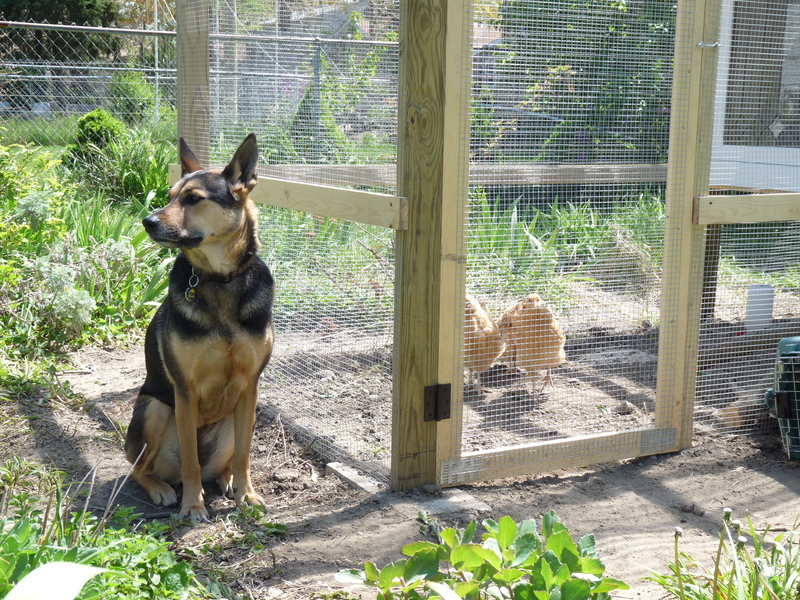 FACT: most cities don’t see a massive uptick in keeping chickens/goats/rabbits after an ordinance is adopted. There’s little likelihood that the naysayers who are surrounded by eligible property will ever actually live next to a chicken/goat/rabbit. Frankly, I’m saddened that this debate has raged on this long and with such bile from the side of those against the ordinance. I’m saddened that there’s no middle ground, and no compassion for families like the Montambos- who, I’m sure, are not alone in their desire to keep a small number of animals. More so, I’m saddened that Tim Scarpino, who clearly has a grasp of media and has masterfully positioned himself as the vocal point person against the ordinance, has repeatedly stated that this is bad for the city without ANY factual evidence to back that up, and no experience with ‘farm animals’ to cite. 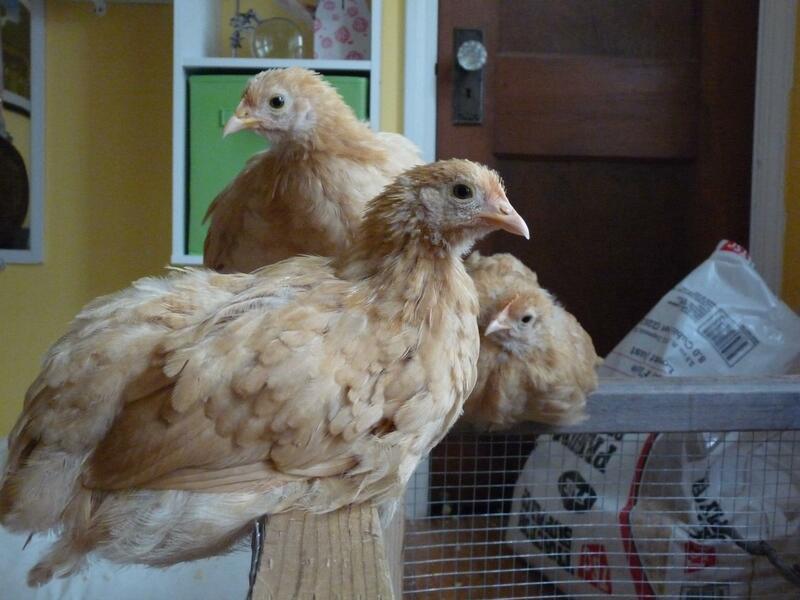 The girls are feeling pretty dramatic after finding out that we’re the 1st to submit our coop paperwork to the city. Apparently lots of people have gotten the packet, but nobody had turned it in… until now. The clerks at the city offices were wonderful and helpful, and even gave me the contact information of someone asking about chickens. Hopefully I can call them later to give them all the info they need to make a decision to get some hens! Coop inspection is scheduled for 3:30pm Tuesday the 15th, next week. 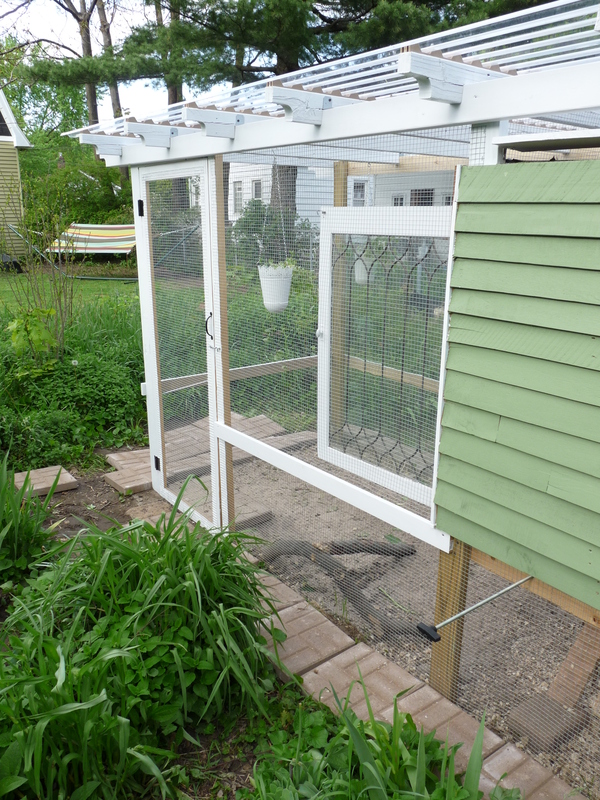 Time to put the finishing touches on the coop and get ready to wow our city officials. 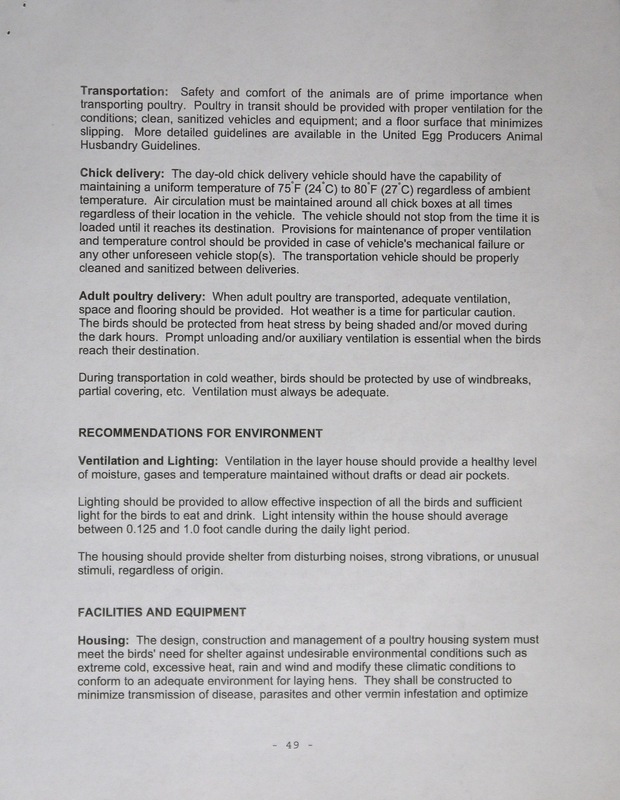 Management Practices for the Care of Farm Animals indicating that 6 square feet of space per chicken constitutes humane stocking density. unnecessary. 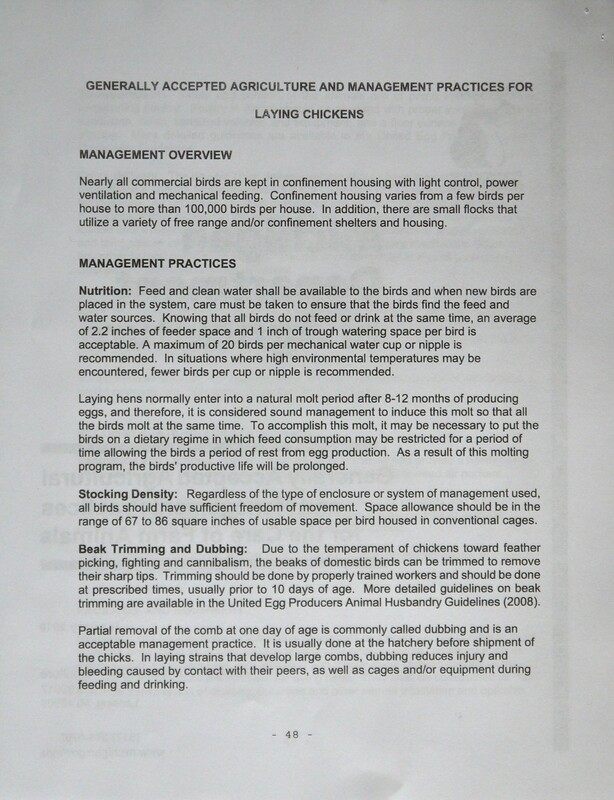 Maximum number of chickens is proposed at three in conformance to the current maximum number of permitted cats and dogs. 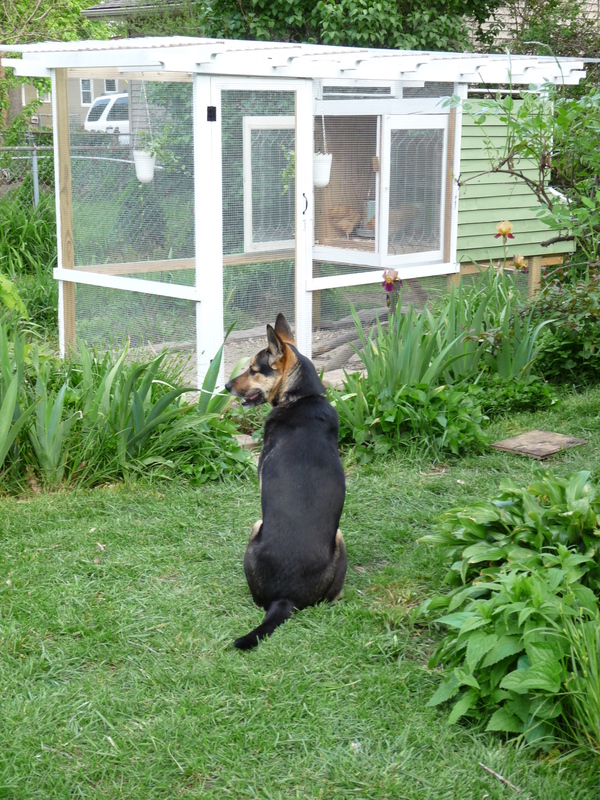 Zoning requirements include restricting the keeping of chickens to single family residential units(R-1 district) and requiring setbacks of 10’ from any residential structure on an adjacent property and 5’ from the property line. 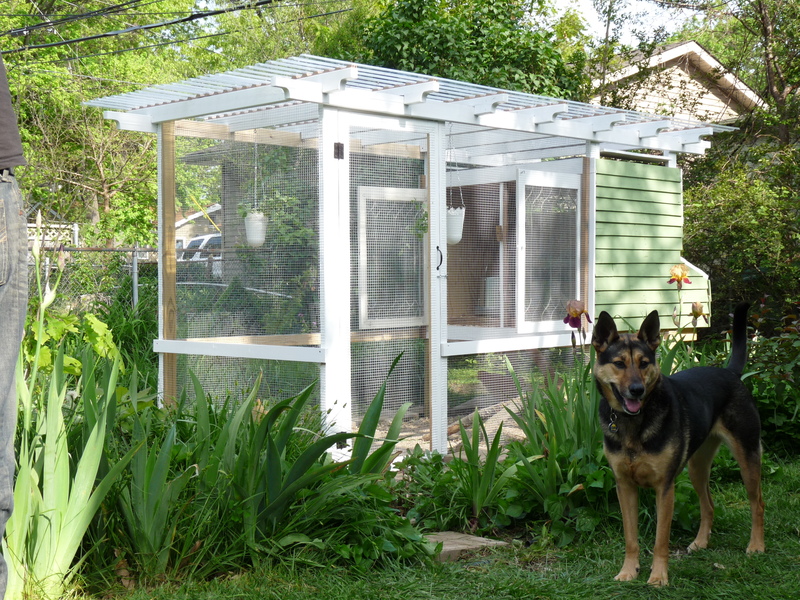 maximum size limitation for coop construction. Coop construction and location should be in compliance with existing accessory structure requirements in Sec. 9-2 of the zoning ordinance. It was the further noted that the State’s Generally Accepted Management Practices be consulted to draft the provisions for managing food and the handling of dead animals. (1) Any person residing in R-1 or R-2 residential zoned district property, in a single family detached structure, obtaining a permit from the city, may keep not more than three (3) hen chickens in the city for personal use only and not for any business or commercial use. Completed applications shall be submitted to the community and economic development department along with the fee which shall be determined by city council resolution. 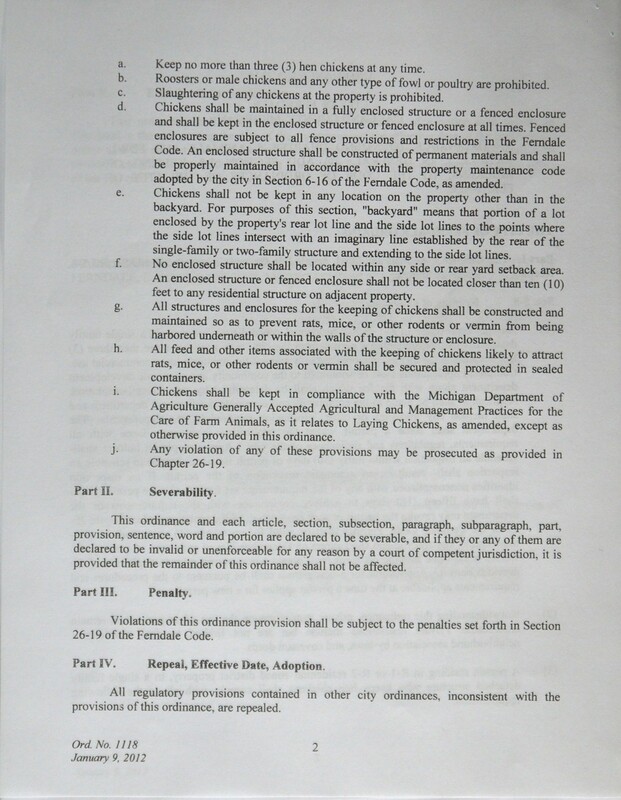 department may revoke the permit or seek prosecution of the violation under Chapter 26-19 of the Ferndale Code. Permits shall be valid for up to one (1) year, shall be nontransferable, site-specific and shall expire on December 31st of each year. 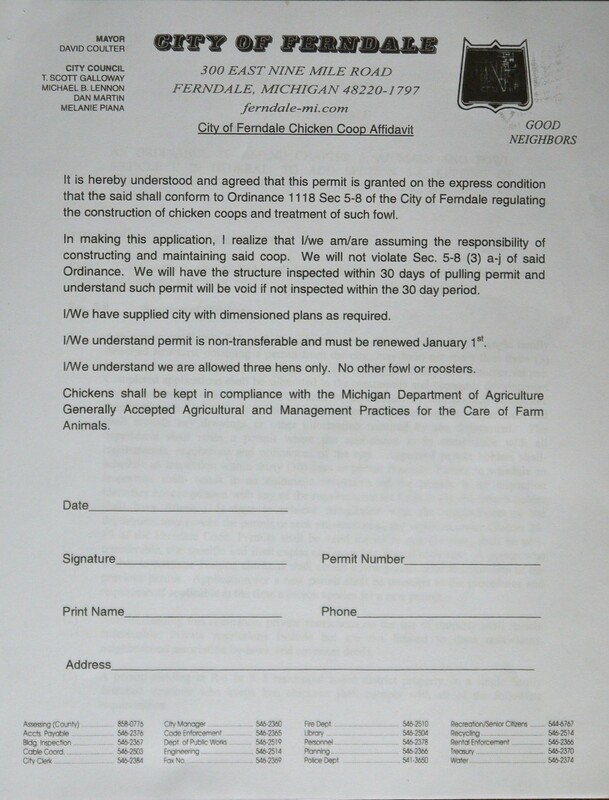 A person who wishes to continue keeping chickens shall obtain a new permit prior to expiration of the previous permit. 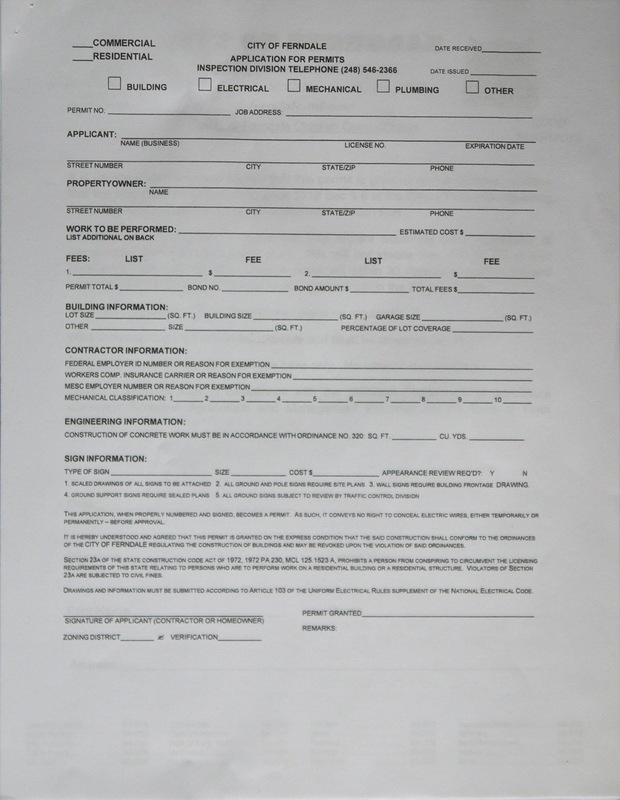 Application for a new permit shall be pursuant to the procedures and requirements applicable at the time a person applies for a new permit. a. Keep no more than three (3) hen chickens at any time. b. Roosters or male chickens and any other type of fowl or poultry are prohibited. c. Slaughtering of any chickens at the property is prohibited. 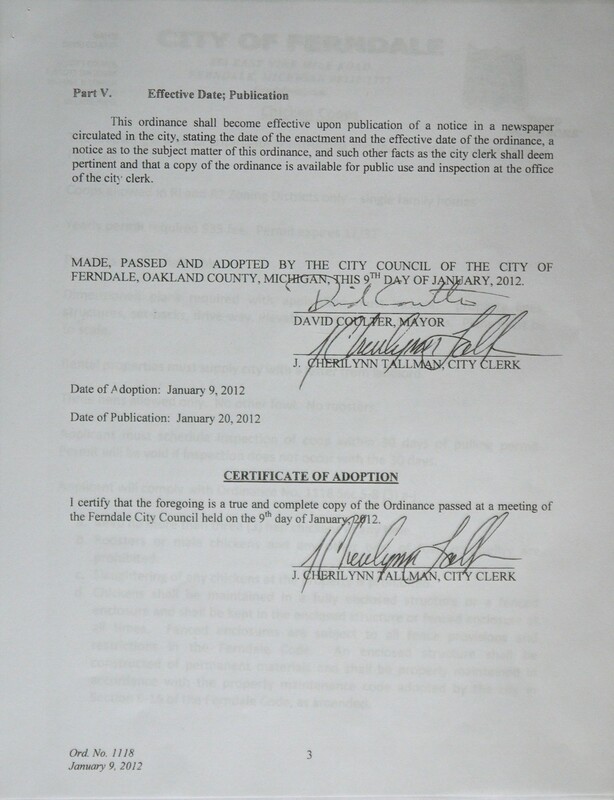 adopted by the city in Section 6-16 of the Ferndale Code, as amended. f. No enclosed structure shall be located within any side or rear yard setback area. feet to any residential structure on adjacent property. harbored underneath or within the walls of the structure or enclosure. otherwise provided in this ordinance. Finally, after years of talking about it, it’s done. I have to commend Ferndale city council for taking time to understand the issue and really listening to the community and facts concerning the keeping of urban hens. It’s been a long time coming, and I’m really glad that I can finally move forward with building a coop and getting my laying hens. Also, if I never have to say the word “rats” again, I’ll be a really happy camper. Come out to city council tonight for the vote! 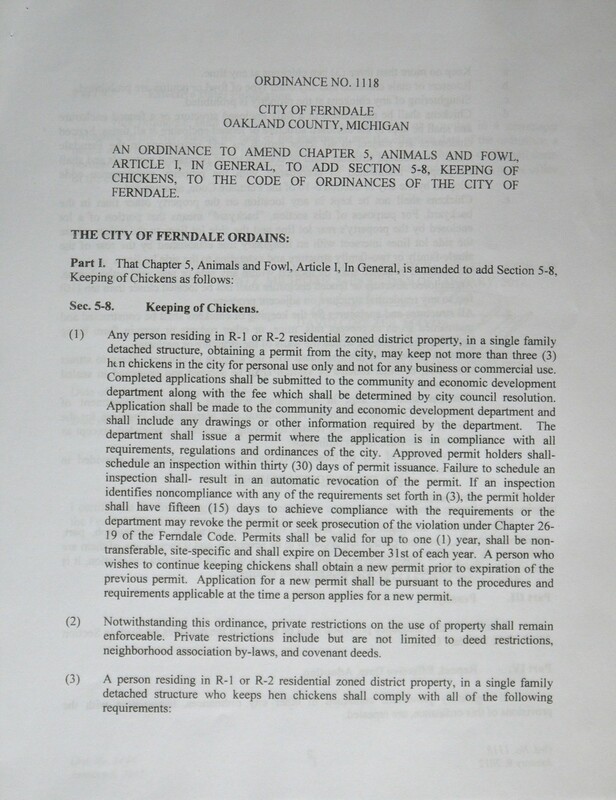 Keep your fingers crossed that Ferndale’s ordinance finally gets approved. Support from the Oakland County 4-H Poultry Club! On Sept. 14, the Ferndale Planning Commission is holding a public hearing for the revisions to the chicken ordinance in Ferndale. 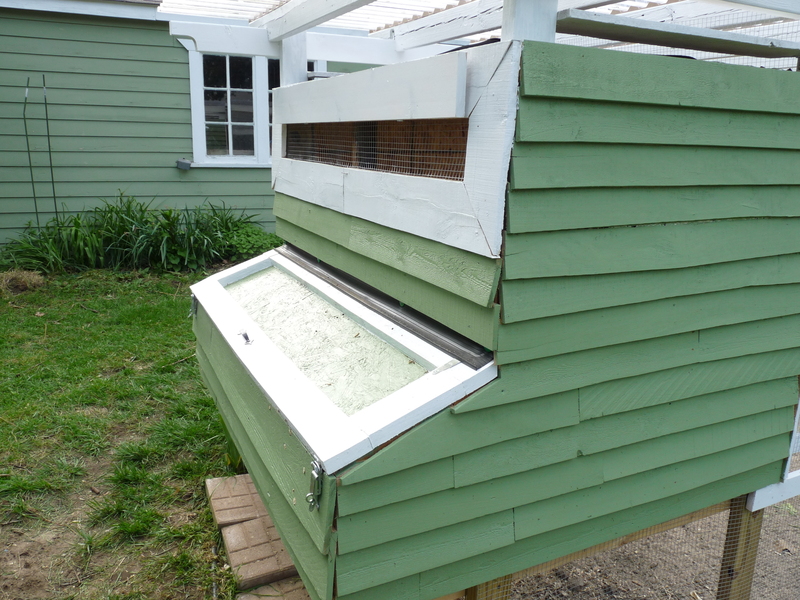 Prior to the meeting, the Oakland County 4-H Poultry Club will be on hand with a constructed coop. Coverage in the Oakland Press! 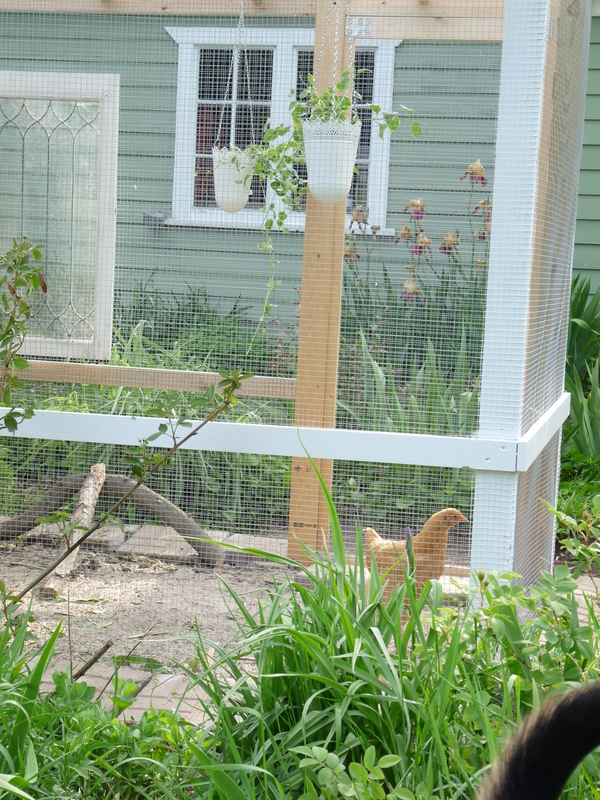 FERNDALE – Allowing chickens in residential backyards in cities such as Hazel Park and Madison Heights hasn’t raised much of a squawk, and Ferndale may be next with a new fowl-friendly law. 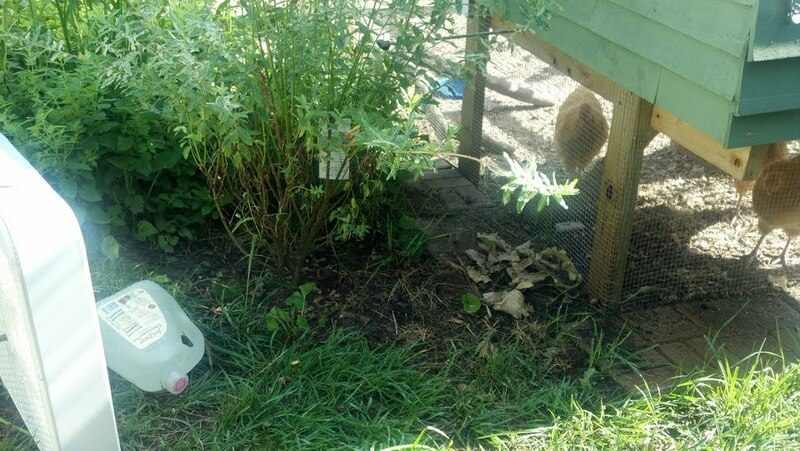 The city Planning Commission has scheduled a public hearing Sept. 14 on a revised ordinance that will permit residents to keep up to three chickens, but no roosters. 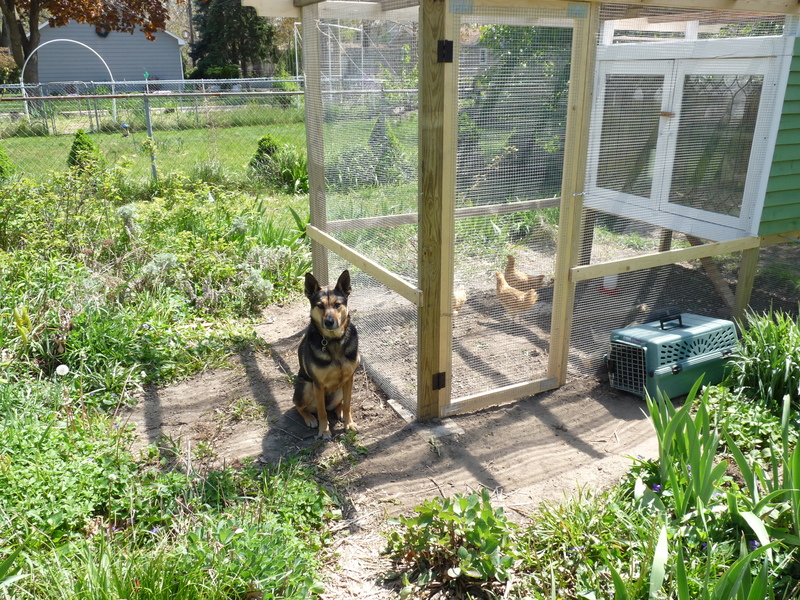 The issue in Ferndale has been marinating since earlier this year when Laura Mikulski and some other residents began pressing city officials to allow chickens and change an existing ordinance that requires chickens be kept at least 150 feet from the nearest neighbor’s property. 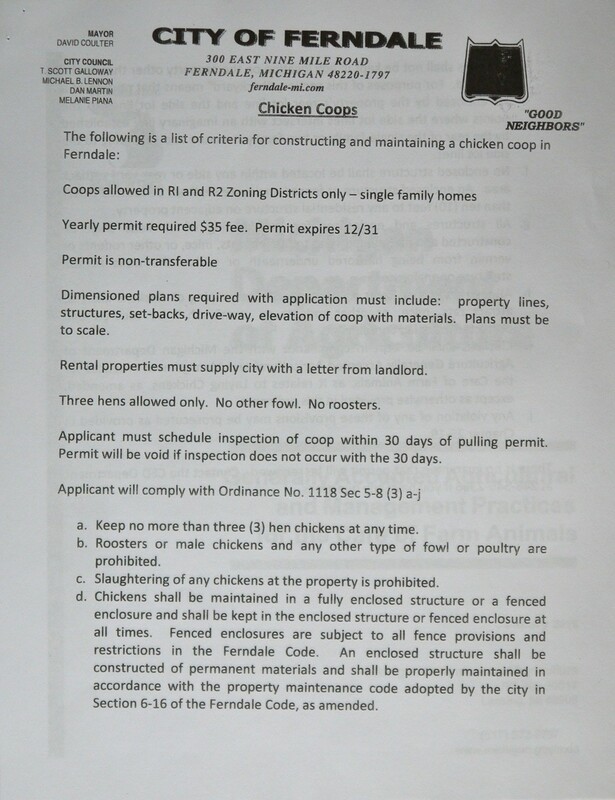 Given the size of residential lots in Ferndale, the current ordinance effectively bans chickens in 90 percent of city neighborhoods. Coverage by the Macomb Daily! 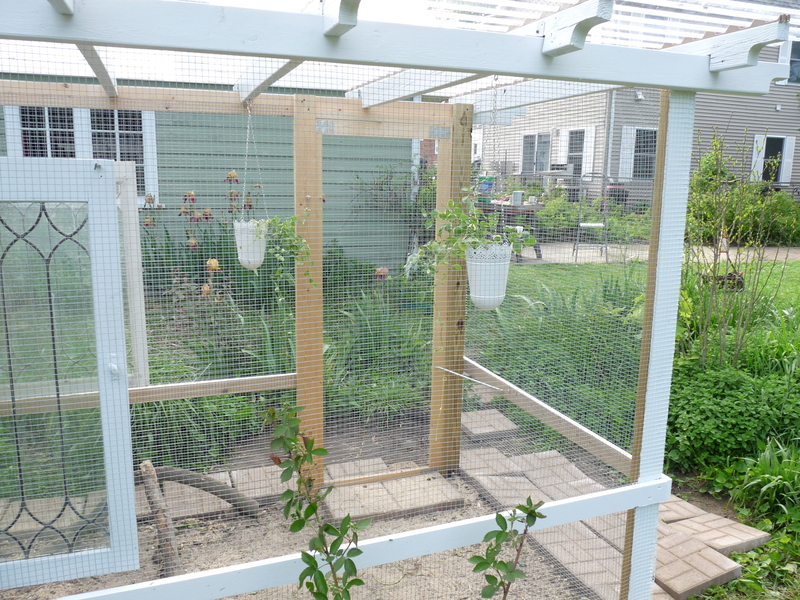 Allowing chickens in residential backyards in cities such as Hazel Park and Madison Heights hasn’t raised much of a squawk, and Ferndale may be next with a new fowl-friendly law. But that prohibition may soon head south. 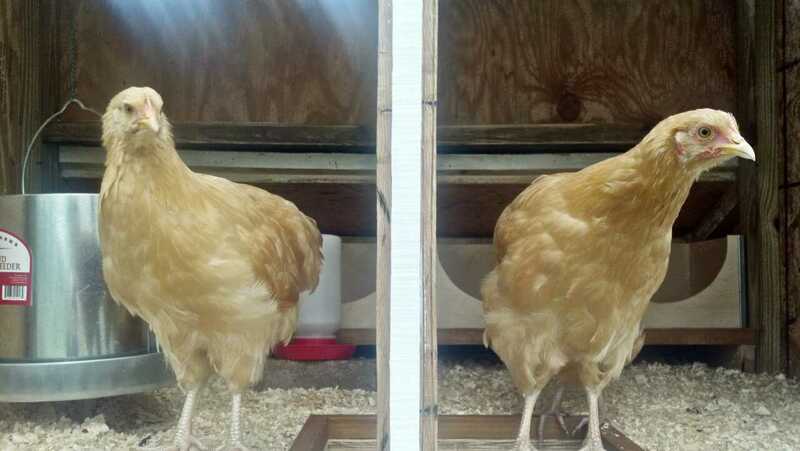 City officials said they have been talking with their counterparts in other communities where chickens are allowed as they consider whether to allow them in Ferndale. 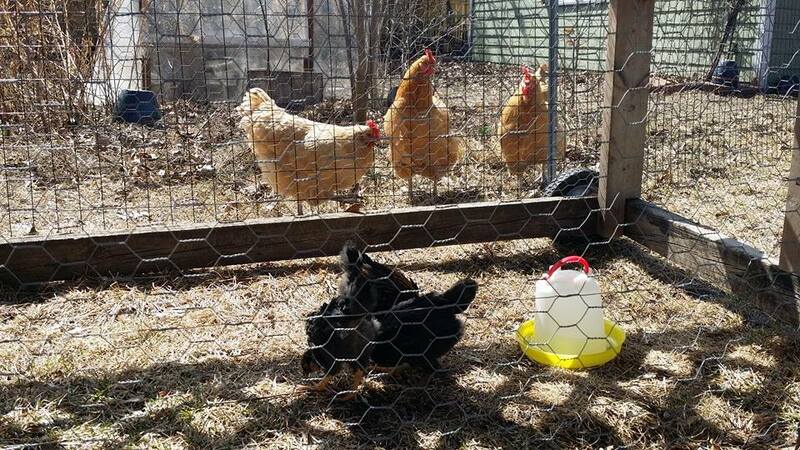 Ferndale is considering an ordinance that will reduce its current distance limits on chickens from nearby property owners and introduce requirements for coops to be kept in rear yards. Concerns about cleanliness, odor and attracting vermin are covered mostly by existing city laws. 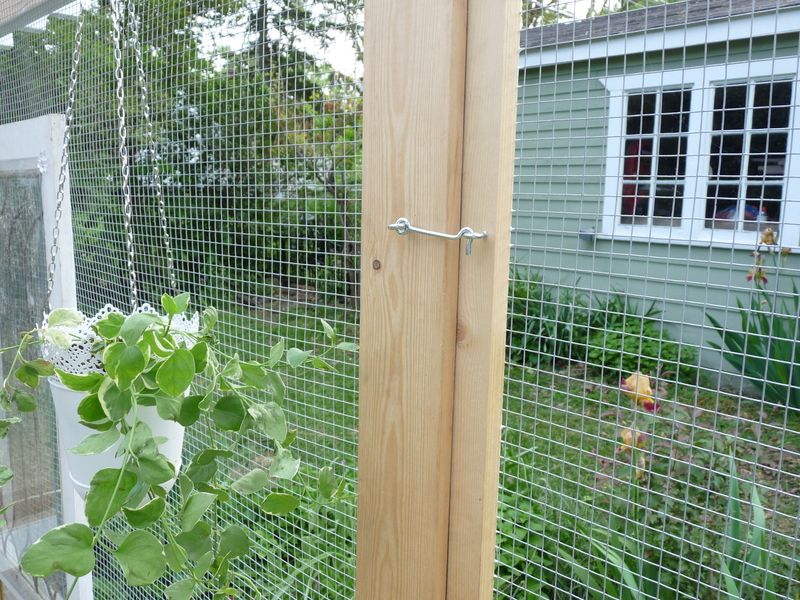 Backyard chicken advocates say the birds are a natural, low-cost way to have fresh eggs and fertilizer for gardens. 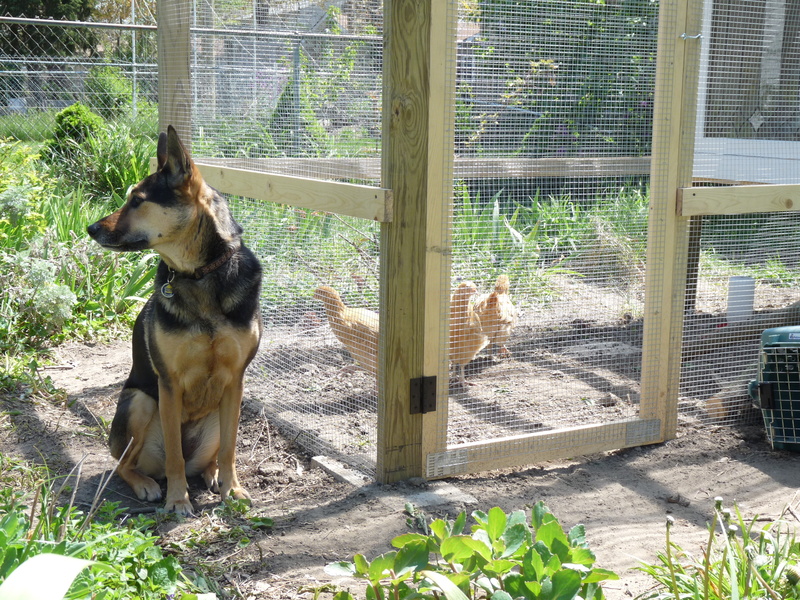 Keeping chickens in urban areas is a somewhat popular trend and over the past several years has cropped up in New York, San Francisco and cities in between. 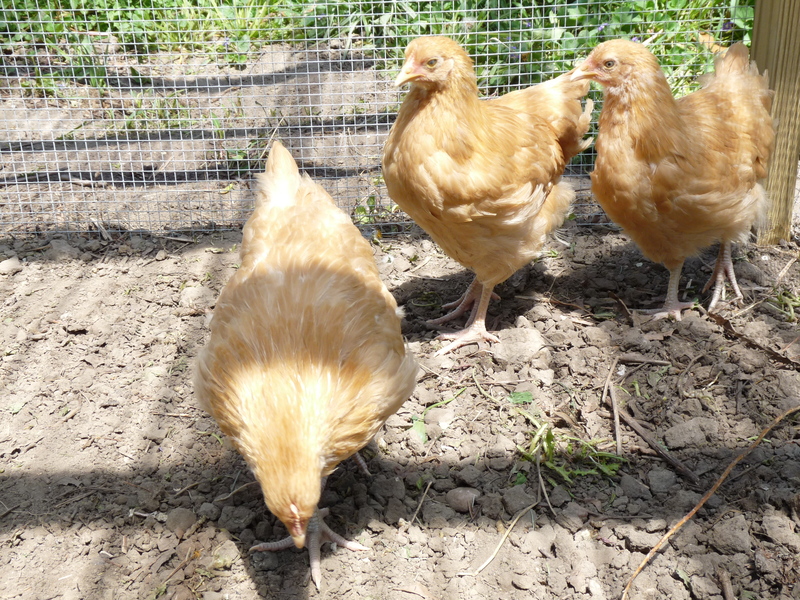 USA Weekend: It’s easy to raise your own backyard chickens. 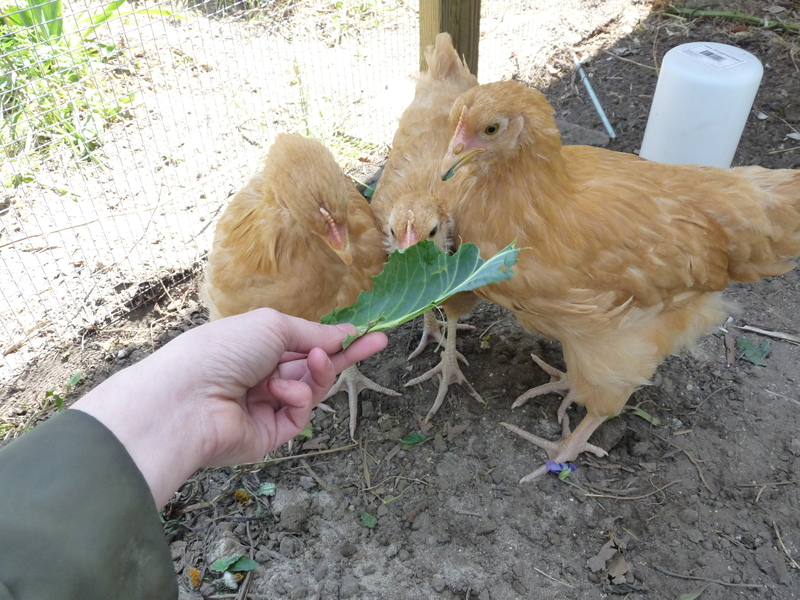 Raising chickens is the natural next step for anyone growing her own fruit and vegetables. And the popularity of “homesteading” like this has a lot to do with the economy: Raising your own food is almost always cheaper than buying it at the store. 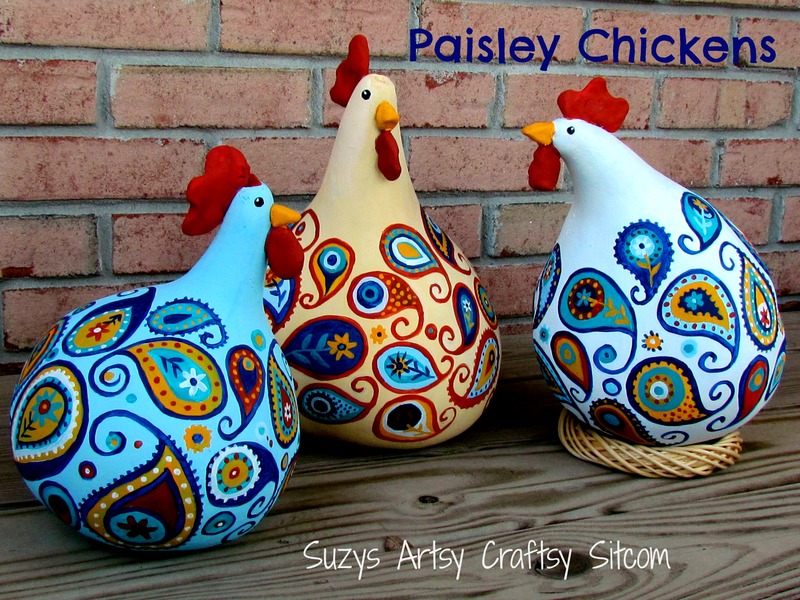 Plus, chickens make great pets, says Patricia Foreman, author of City Chicks and co-host of the Chicken Whisperer Talk Show on blogtalkradio.com. “They’re not the dirty, stupid, prickly birds they’re reputed to be.” To work on their image, Foreman has what she calls “chicken ambassadors” (named Oprah Henfrey and Attila the Hen, by the way), which she brings to schools and nursing homes to spread the good word about chicken rearing. Get six to eight hens. 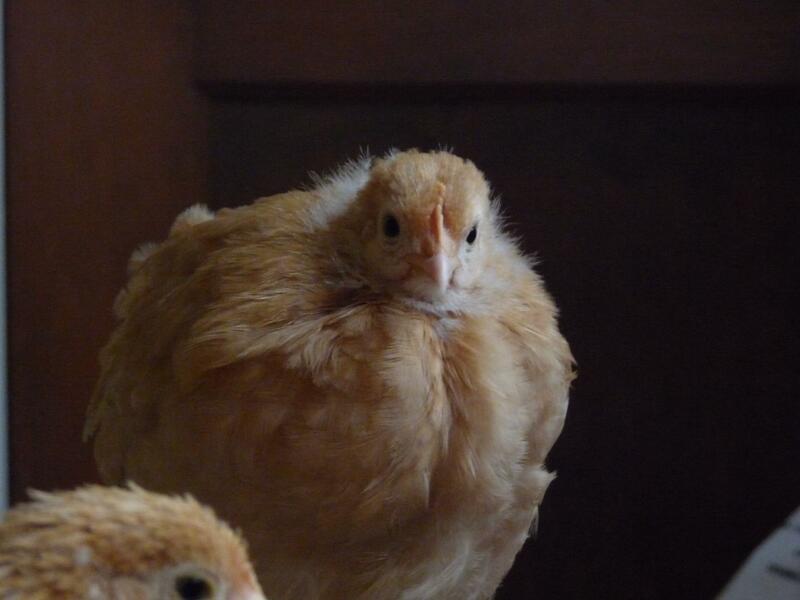 At their peak, each chicken will produce an egg a day. After just a couple of years, production will decrease, but they’re still useful: They act as insect regulators, eating ticks and fleas. 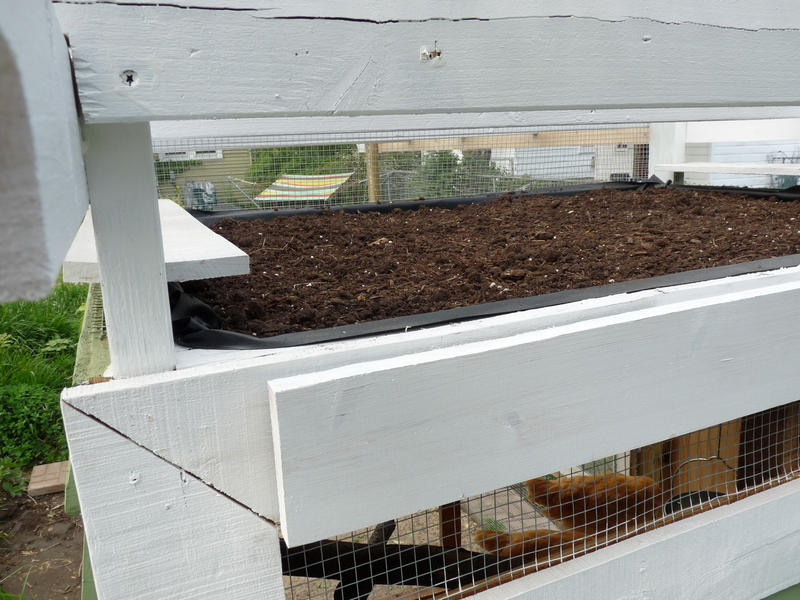 They also can help keep waste out of landfills, as they will eat (and enjoy) your kitchen scraps. Be sure they have a coop structure in which they will be protected from nocturnal predators. 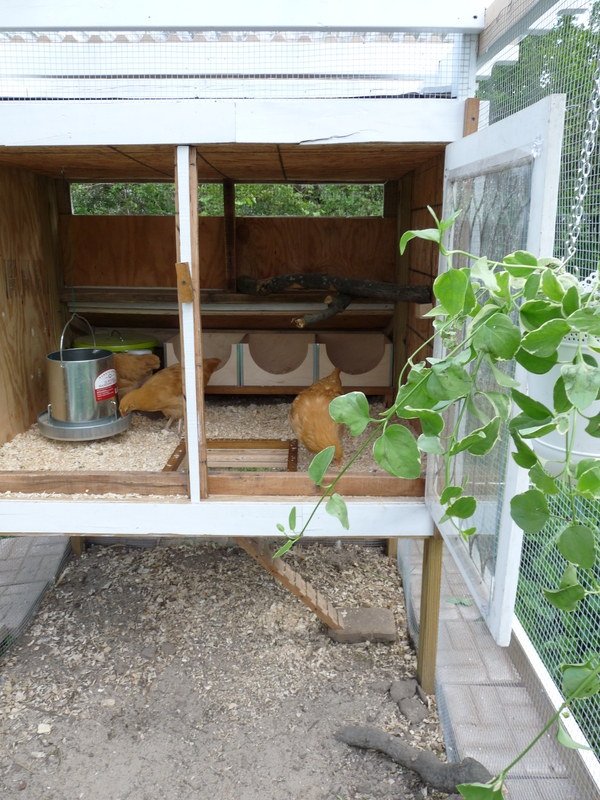 The design can vary, but it should have a roof, a branch or 2-by-4 for roosting, and a “run,” where the chickens have space to roam. 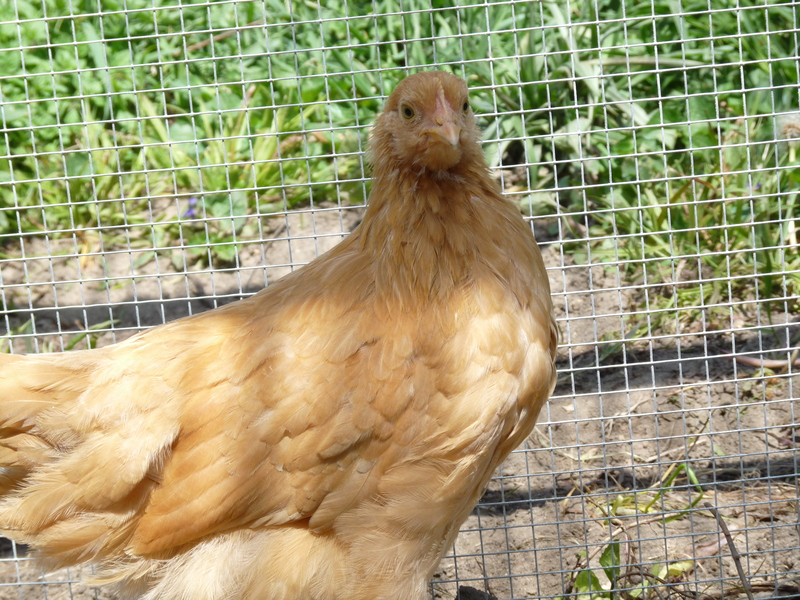 Local poultry club members can tell you good breeds for your area. In many municipalities, hens are OK, but roosters are not; in others, no chickens are allowed. The revised ordinance will be discussed at the next Planning Commission meeting 7 p.m. Sept. 14 at City Hall. This meeting is considered a public hearing. 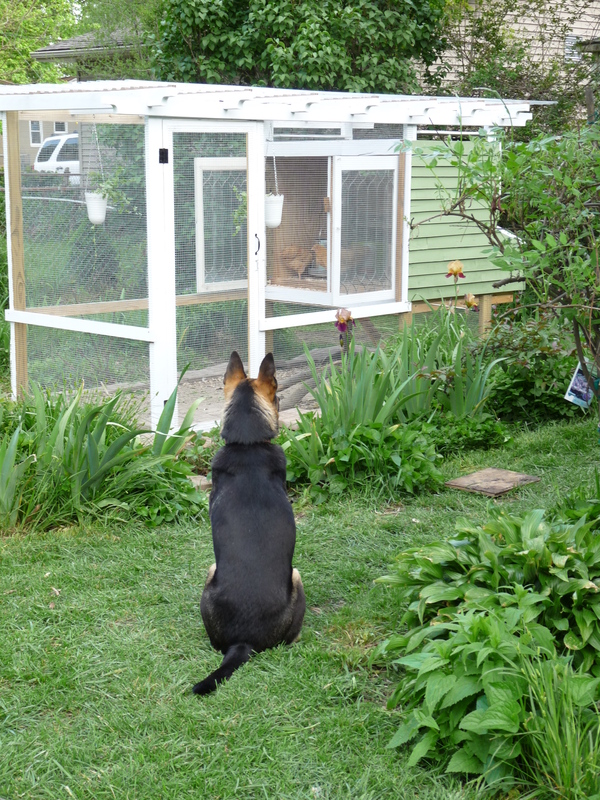 It is not a public forum, but time will be allowed to discuss the chicken ordinance. If approved by the Planning Commission, it will then go to City Council.